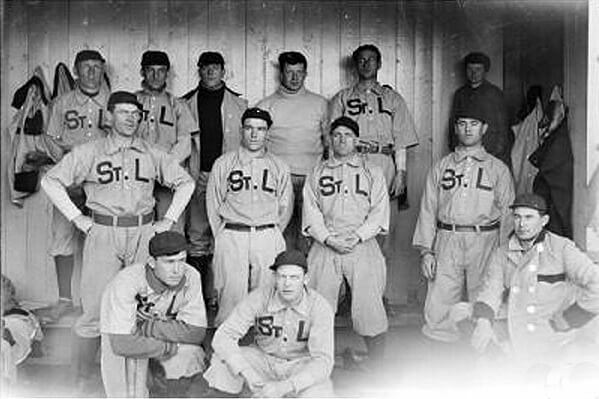 In 1902, however, the team did move to St. Louis, where it became the “Browns”, in reference to the original name of the legendary 1880s club that by 1902 was known as the Cardinals. In their first St. Louis season, the Browns finished second. Although they usually fielded terrible or mediocre teams they had only four winning seasons from 1901 to 1922, they were very popular at the gate. Veeck attempted to move the Browns back to Milwaukee (where he had owned the Brewers of the American Association in the 1940s), but the move was blocked by the other American League owners, seemingly for reasons that were more personal than business-related. Undaunted, Veeck got in touch with Baltimore Mayor Tommy D’Alesandro and attorney Clarence Miles, who were leading an effort to bring the major leagues back to Baltimore after a half-century hiatus. However, he was rebuffed by the owners, still seething by the publicity stunts he pulled at the Browns home games. Although there was never any official word that the 1953 season would be the Browns’ last in St. Louis, there were enough unofficial signs that attendance flatlined to only 3,860 fans per game. Under the circumstances, the Browns made a wretched showing, finishing 54-100, 46 games out of first. This was partly because late in the season, the Browns were running so low on baseballs that they were forced to ration them during batting practice. When what would be the Browns’ last game in St. Louis—a 2-1 loss to the White Sox—went into extra innings, the Browns had so few baseballs on hand that the umpires were forced to recycle the least damaged ones that had previously been used. Reportedly, the last ball used was gashed from seam to seam. After the season, Veeck cut a deal with Miles which would see the Browns move to Baltimore. Under the plan, Veeck would have remained as principal owner, but he would have sold half of his 80% stake to a group of Baltimore investors headed by Miles. Despite being assured by American League president Will Harridge that there would be no problem getting approval, only four owners voted aye – two short of passage. Reportedly, this was due to Yankees co-owner Del Webb drumming up support to move the Browns to Los Angeles. Veeck, Miles and D’Alesandro realized that the owners were simply looking for a way to push Veeck out. Over the next 48 hours, Miles lined up enough support from his group of investors to buy out Veeck’s entire stake for $2.5 million. Veeck had little choice but to agree. He was facing threats of having his franchise canceled, and he’d given up his only leverage by selling Sportsman’s Park to the Cardinals. The other owners duly approved the sale. While Baltimore brewer Jerold Hoffberger became the largest shareholder, it was Miles who was named president and chairman of the board. His first act was to request permission to move the team to Baltimore, which was swiftly approved. The Major League Baseball team now known as the Baltimore Orioles originated in Milwaukee as the Milwaukee Brewers, and then moved to St. Louis, Missouri, where they played for more than 50 years as the St. Louis Browns. This article covers the franchise’s history in St. Louis, which began when the team moved from Milwaukee after the 1901 season and ended with the team’s move to Baltimore after the 1953 season. As of January 20, 2017, there are only 16 living former St. Louis Browns players. Browns – The Browns name is shortened from Brown Stockings, which was also the original name of the Cardinals. The name simply refers to the colors the team wore. 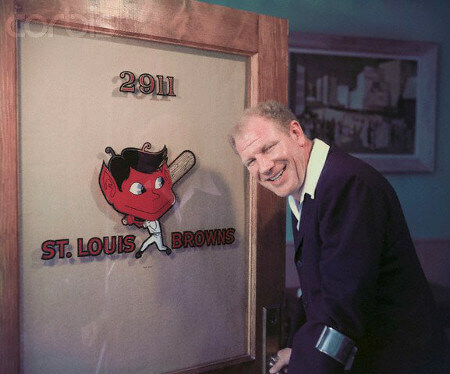 Their name the “Browns”, is in reference to the original name of the 1880s baseball club that by 1900.
Who is the greatest St. Louis Browns? They then moved to St. Louis, Missouri, where they played for more than 50 years as the St. Louis Browns.